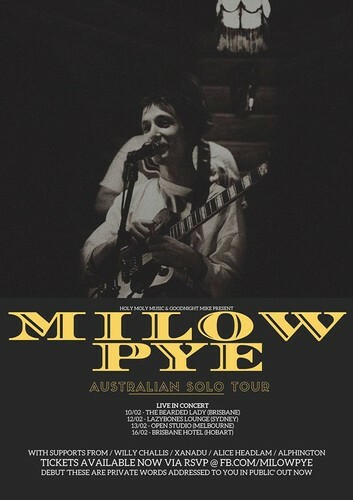 Milow Pye takes his breakthrough record 'These Are Private Words Addressed To You In Public' on the road for a string of Australian shows with special guests. Restaurant 7:00pm. Food & drinks available at the venue so come by early to grab some grub n stuff n a good seat ya hear?